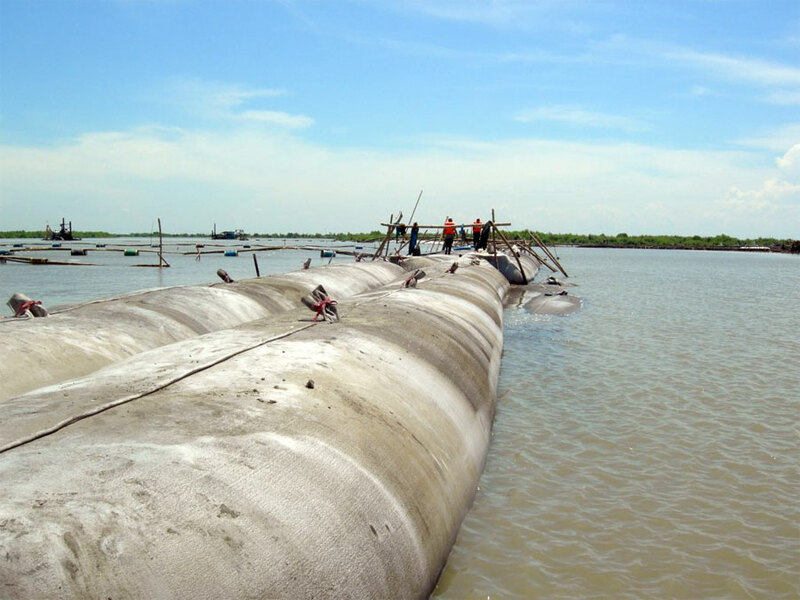 Caribbean GeoTextile Tubes are environmentally friendly Hurricane Storm Protection used successfully in the Bahamas and Caribbean for new land and marsh creation or restoration and land reclamation. The method of employing GeoTextile tubes or bags is an affordable and easy solution for your project. The contractor encircles the location to be backfilled with dredge spoils and sludge. Once the location has been filled, the area location can be used for residential or industrial development or Hurricane Storm Protection natural environment for wildlife. 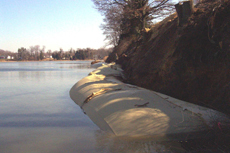 Another unique use of geotextile tubes is for land reclamation and marsh creation. The tubes are filled with dredged spoils to a desired elevation and formed into a circle. Because the tubes are soft armor, the perimeter is often created with riprap, concrete, Xbloc®, accropodes or tetrapods.